What an extra-ordinary life this lady has led! By most measures this world was left a better place for her accomplishments. She died Sept. 18 at her winter home in Arizona. Born in Watertown, Wis. on May 20, 1939 to a family having a long tradition and heritage in Door County; a place she would return to time and again throughout the decades, enjoying spending the summer and early fall months with grandchildren and close family and friends. Katherine Laurie Salisbury, née Nowack, given to being called Kitty, attended Mound High School near Lake Minnetonka in Minnesota, class of 1957. Just this past August she enjoyed attending another reunion seeing fellow classmates and reminiscing on a different time in life. 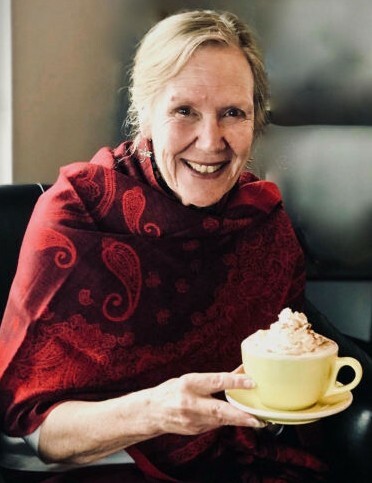 Her first marriage came along a few years after graduating from Colorado State University, Boulder, 1961 with a degree in Sociology; and was a member Beta Sigma Phi International. They met at CU and later had two sons, Michael and Matthew, built a new home, and lived in Boulder until 1973. The family moved to the Pacific Northwest to Washington and then Oregon where she found an unexpected vocation committed to giving tirelessly, and often thanklessly, to the advocacy and promotion of developmentally and medically disabled children and adults. To this end, and out of necessity from her own younger son being disabled, she found herself spearheading many new programs and pushing the boundaries of what was considered outmoded methods of community caring for the disability’s population in the region. Founding member of South Shore Preschool Program, Lake Oswego, Oregon, a parent consortium designed around a pre-school setting. President of Clackamas County, Oregon ARC; Chairperson for advocacy group Severely Other Health Impaired/Chronically Ill Children, which evolved into the coined term “Medically-Fragile” and forming The Medically-Fragile Network to become more aligned with changing times; Grant writer for the State of Oregon Developmentally Disabled Division; Founder and CEO of a non-profit 501(c)-3 corporation organized from 1987 to 2014 to house the disabled in a community integrated, family living style, supported by Federal and State sponsored entities and private care providers. Served as Board Member and later formed a family representative committee on the Board of Edwards Center – an adult Developmentally Disabled advocacy group promoting achievement and independence in their daily living activities. Finally, toward the end of retirement years, she volunteered and got certified as a hospice caregiver for Oregon Providence Health Care Hospice in her local community. Her younger son Matthew lived 36 years and passed away in 2008. Kitty enjoyed writing fiction stories and calligraphy; collecting exquisite writing instruments; scrap art; reading historical non-fiction and studying archaeology; became a student of far east culture and enlightenment; traveled to Tibet, China, Turkey, Spain, and Italy focused on an interest in cultural history, and an occasional wine tour; loved the Hawaiian Islands, especially the peacefulness of Kauai; doing puzzles with family; playing Scrabble; attending operas; and driving her original 1978 Porsche 924 car. Preceded in death by her Sturgeon Bay grandparents Emil J. and Hester Ann Laurie Hansen; and her parents Gerhard Alvin Nowack and Laurie Eleanor Hansen Nowack. Survived by a brother Gary (Caroline) Nowack, and a sister Virginia (John) Naunton. Remembrance festivities will be held June 21, 2019 at Bayside Cemetery, Sturgeon Bay at 10:54 am, then at home for the remains of the longest day. Huehns Funeral Home in Sturgeon Bay is assisting Kitty’s family. Expressions of sympathy, memories, and photos of Kitty may be shared with her family through her tribute page.